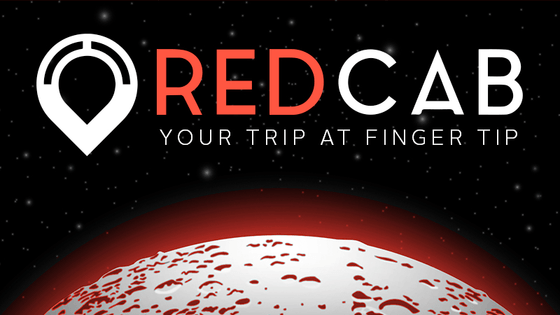 RedCab LLC is a fast growing company with futuristic business models in the transportation space. From the technical aspect to the business model, a dedicated research team spends a full year studying needs, assessing market gaps and exploring potentials with a focus on the driver's experience and driver's needs. The first beta version of our Mobile App was aired in 2017 on both the App Store and Google Play, and the soft launch took place at a small tourist spot by the Red Sea for more hand operations and to test the car calling service, consuming most of our business models. We see great potential in the industry and growing demand in all metropolitan cities in the hope of future growth for the industry reaching $ 285 Billion by 2030. 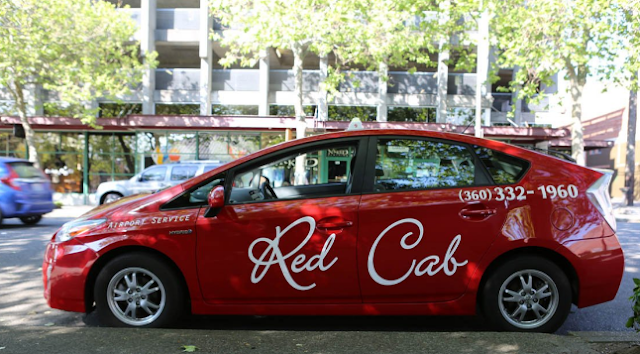 The purpose of RedCab token sales is to transform our business model from centralized application into a decentralized ecosystem that enables access to global reach and reduce transport costs for users. Saving over $ 60 billion annually through intermediaries, raising funds to expand our infrastructure and address the growing international demand for transportation services worldwide through the development of powerful scalable tools. 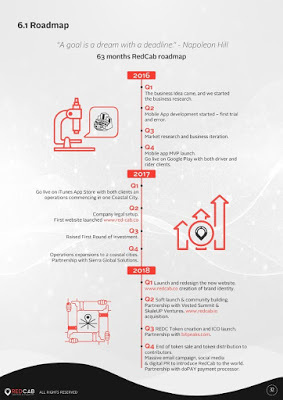 RedCab LLC team have seen a clear opportunity in the Peer 2 Peer transportation industry for a unique business model to balance business goals and customer needs, supported by a powerful technical platform. Blockchain technology is considered the backbone of our business model from providing secured transactions and fast contracting; it perfectly blends with our business model to deliver to the world a decentralized and community managed transportation solution ready to serve individuals and support businesses. An existing company since 2016 with tangible on-ground operations. Bringing a globally innovative solution through the Blockchain to an existing market need with $230 Billion annual demand. We move people from Point A to Point B by cars and spent 1 year of research in the transportation industry to understand potentials and technologies. Building one community from different markets and embracing diversity for a better world. Developing a technical platform with a solid eye on the future. Introducing advanced technologies to the transportation industry to enhance customer experience and achieve better business results. Redcab is committed to a transparent token sale process.